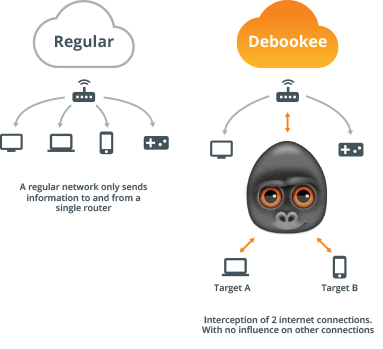 Decrypt & analyze the network traffic of all your devices. 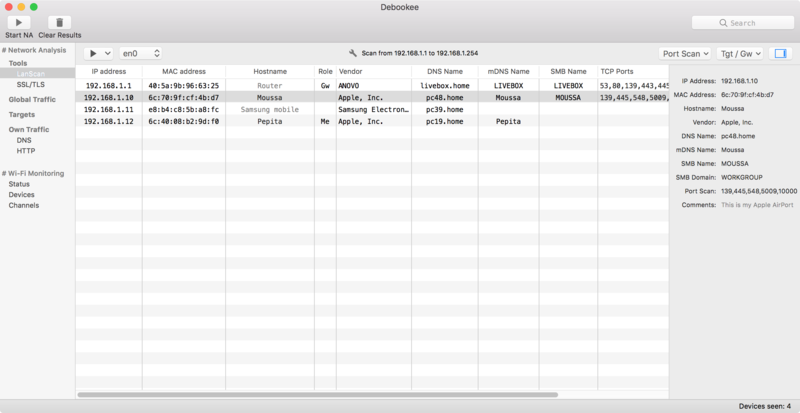 It allows you to capture data from mobile devices on your Mac (iPhone, iPad, Android, BlackBerry...) or Printer, TV, Fridge (Internet of Things!) without the need of a proxy. 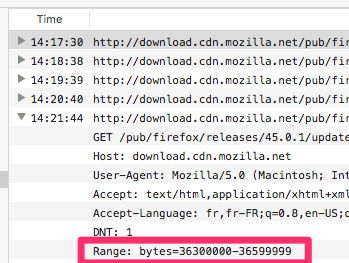 This interception is done in 1 clic and is totally transparent, without network interruption. 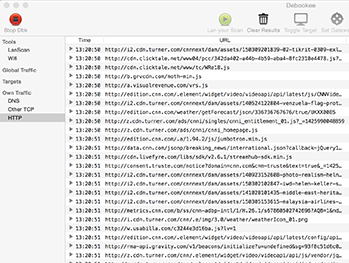 Decrypt your own traffic and all targets (iPhone, iPad, Android, TV, printers, fridges) traffic in one simple click. 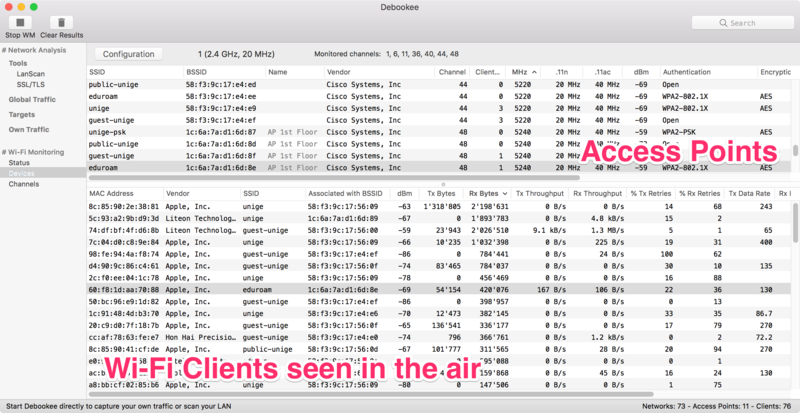 The Network Analysis (NA) monitors and analyzes in real-time the network data of your own Mac or other devices. 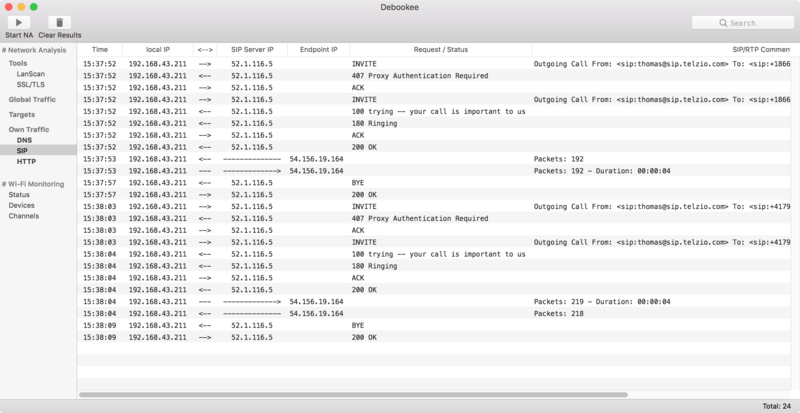 It currently supports HTTP, HTTPS, DNS, TCP, DHCP, SIP, RTP (VoIP), IMAPs protocols. Debookee embeds an advanced version of LanScan Pro, our famous IP network scanner. 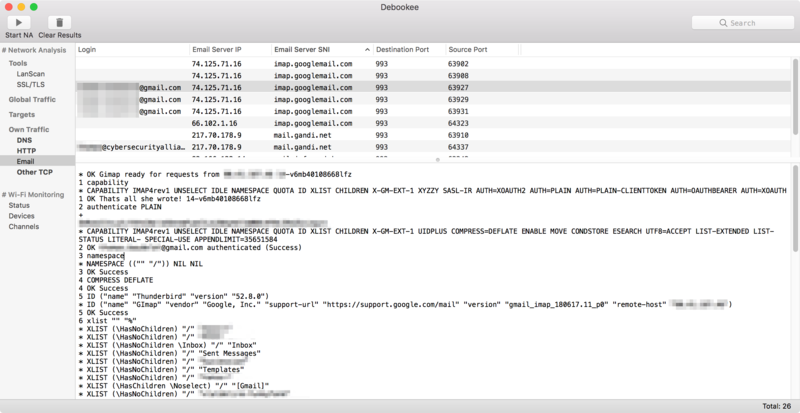 Discover all your devices with associated MAC addresses, DNS, mDNS, SMB names and domains, as well as a TCP port scanner. 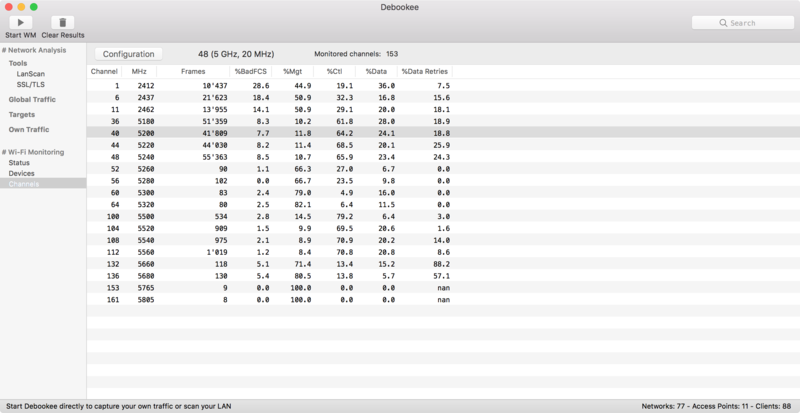 WM module puts your Wi-Fi network interface in monitoring mode and listens to all 802.11 radio frames around. 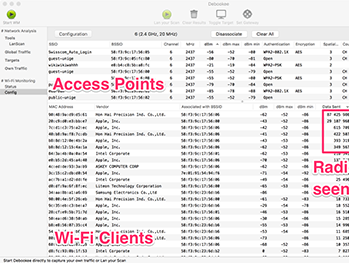 You'll see not only Access Points, but also all Wi-Fi clients in your radio range, if they're associated or not, and details on their connection. Check out 802.11 frames statistics between Management, Control and Data frames. Troubleshoot your connections with important statistics like percentage of retries and bad FCS. 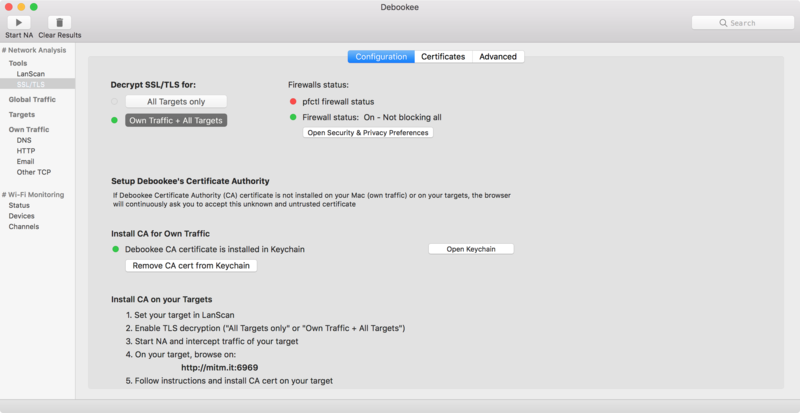 Decrypt only your targets traffic or your own traffic, install your Certificate Authority (CA) in your Keychain. What's new in Debookee 6? How can I intercept traffic? 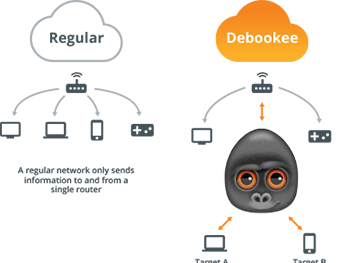 Will you sell Debookee on Mac App Store? 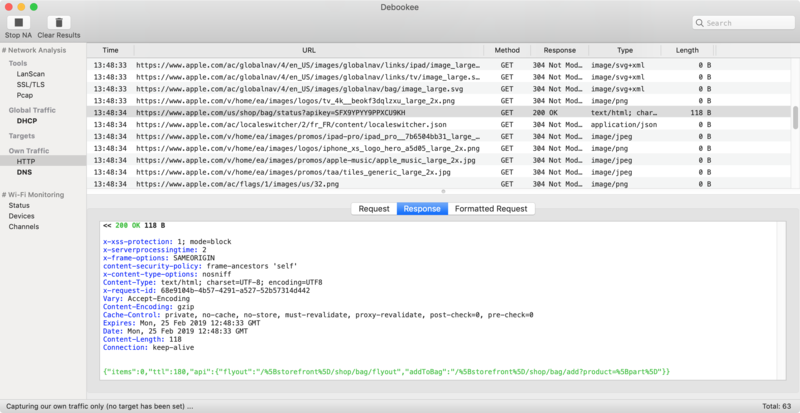 Can Debookee decrypt TLS/SSL traffic?